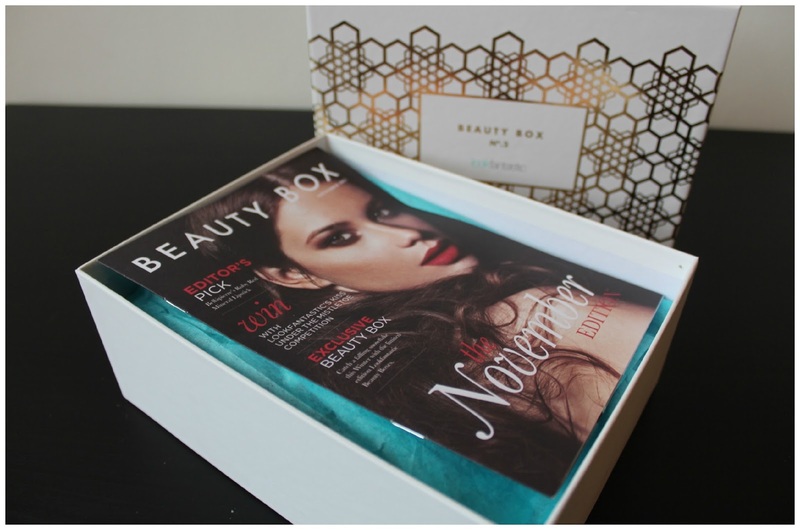 Well hello there beauty lovers... todays instalment is about November's LookFantastic beauty box. 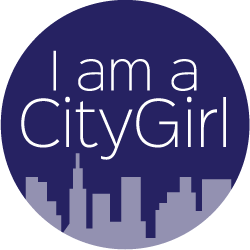 I posted a couple of days ago about the October box that I was gifted at The CityGirls event so thought it only right to share the contents of this months box. Its still on sale over on the LookFantastic website so if you don't want to see what is included then look away now! 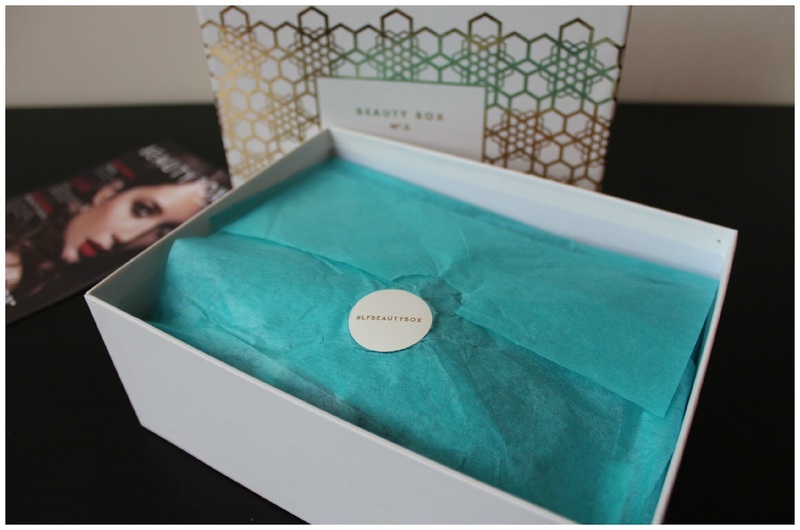 The November goodies are all packaged up in a rather fancy looking box covered in lovely gold hexagonal patterns along with turquoise blue tissue paper hiding all the treats away. LookFantastic have switched up their monthly insert this time and made it more into a magazine style leaflet; detailing all the products included in the box and some additional beauty tips and bits of advice for us product lovers. In comparison to the October box; November's product selection is slightly more varied. Although I loved the October box it is nice to get a wider selection of products as this means I get to try all the items out sooner rather than waiting until Ive used one up and move onto the next one. This months box contains treats from Korres,Dr PawPaw,Ole Henrickson,REN, Kebelo and Bellapierre. Ole Henricksen Empower Milk Cleanser 30ml sample (190ml £20) This lightweight cleansing milk by Ole Henricksen, once applied to a damp face, quickly foams up to remove all impurities after a long day. It helps to remove your makeup (but still a little of my normal eye makeup remover needed) whilst hydrating your skin to leave a perfect base for applying your foundation to in the morning. The cleansing milk contains arctic cloudberry,nordic cotton and willow bark extracts that are said to leave your skin feeling soft and supple. I can completely agree on the soft part of that.. my skin feels ultra smooth and I'd say this is a contender with Liz Earle. 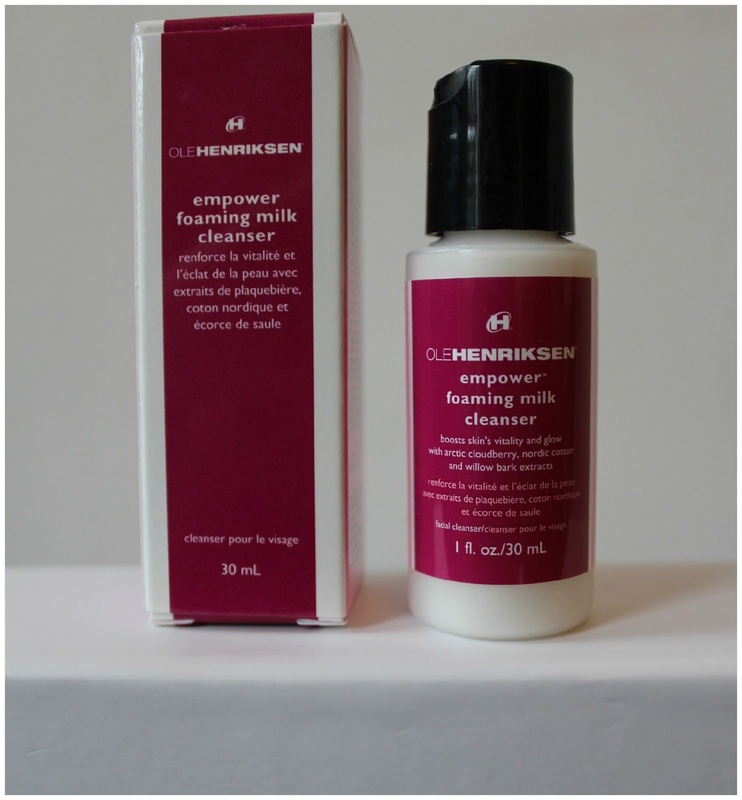 This product has a really subtle clean scent and, again, reminds me of the Liz Earle Cleanse and Polish product. This one is going on my xmas list for sure! Korres Guava Shower Gel 40ml sample (250ml £8) I've used Korres products in the past and loved the fruity scents along with the great long lasting fragrance after getting out of the shower. However, with this sample I am not so keen. I have no idea what Guava is meant to smell like so, for all I know, it could be spot on but I'm not a fan.To me, it smells quite manly and I think LookFantatic/ Korres might agree as they'd popped a sample size bottle of this in the Korres All Mens Kit. Fear not though, Korres offer some other rather delicious shower gels; I'd like to try out the Vanilla Cinnamon or the Mint Tea. Dr PawPaw Ultimate Red Balm 10ml sample (25ml £6.95) In the past I've used the Original Formula PawPaw and got on well with it for chapped and sore bits on my hands. I did find it a little too greasy to use as a full hand cream but you know that bit between your thumb an finger...? 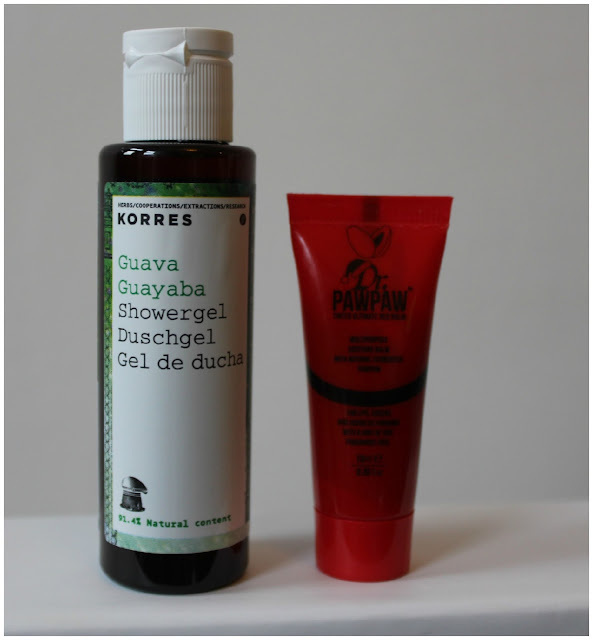 PawPaw is perfect for when the cold weather cracks your skin! 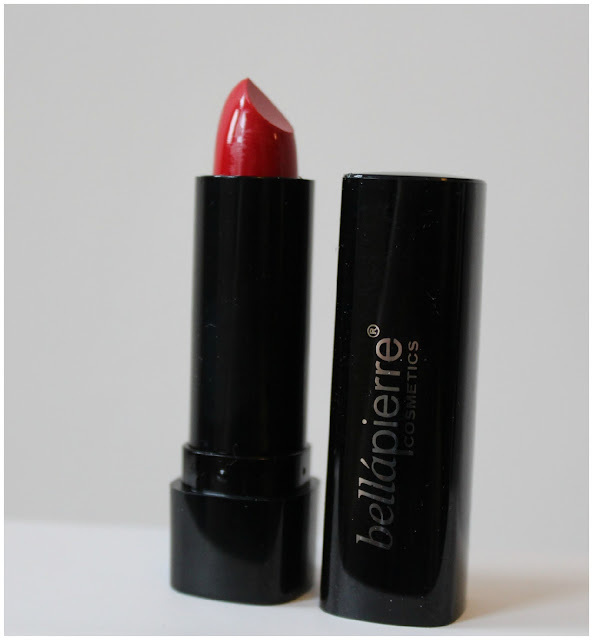 I've tried this red balm on my lips and really got on with it; its so hydrating and really smooths your lips out. But, I'm not sure Im going to be following the suggestion on the tube and using it on my cheeks. It tends to increase the appearance of my pores/fine lines (not wrinkles.. just skin texture lines!) so I'll probably stick to a more conventional blush. Lips-AMAZING...Cheeks- not so good!If you go for the original balm you can use it for all sorts of skin irritations and sore bits like cracked skin,lips,nails,feet and even on your baba's nappy rash! 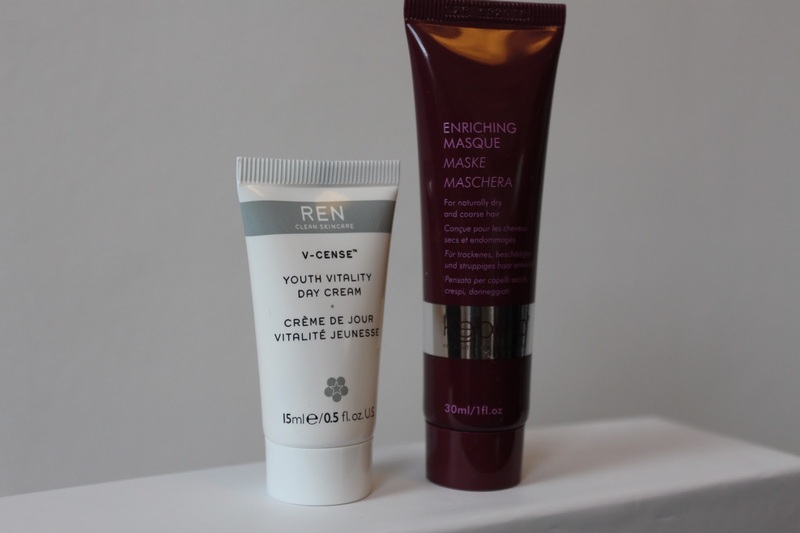 REN V-CENSE Youth Vitality Day Cream 15ml sample (50ml £28)- I hear a lot of good things about Ren products through blogs and social media but for me, this product didn't hit the spot. Although I loved the softening effect it had on my skin the scent was too herbally for my liking. However, the Mr loved it so I've passed this onto him to try out. Whilst browsing through the Ren products on the LookFantastic site I found the Moroccan Rose Otto Bath Oil that I'd like to try out in the future! Kebelo Enriching Mask 30ml sample (100ml £10.45) I am yet to use this product on my hair so I can't comment on its effectiveness but I do have a couple of comments on the packaging... so, firstly, it was bloody difficult to try and get a photo of this product due to the mirrored packaging- us beauty lovers share photos everyday on social media of products- this product,for me, makes that a tad more difficult! Secondly, its not 100% obvious that its actually a hair mask, unless you read the 5th line down on the front. Maybe I'm a lazy product user but I want to be able to know what a product is pretty instantly! Aside from those picky points of mine... I've read some reviews online about this hair mask and they've all been really positive- some bloggers have said that it keeps their hair smooth and soft for longer and adds extra shine! I'm going to try this out over the weekend and I'll let you know how I get on with it. 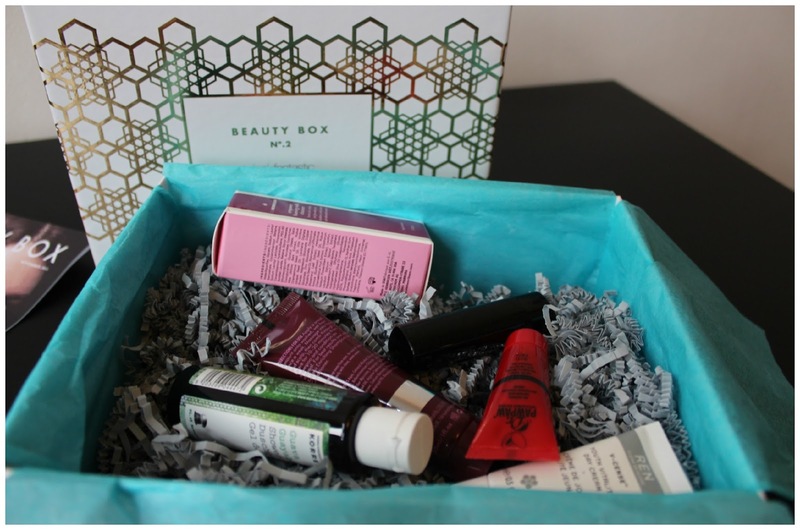 Both the October and November Boxes included items that I, mostly, I hadn't used before. 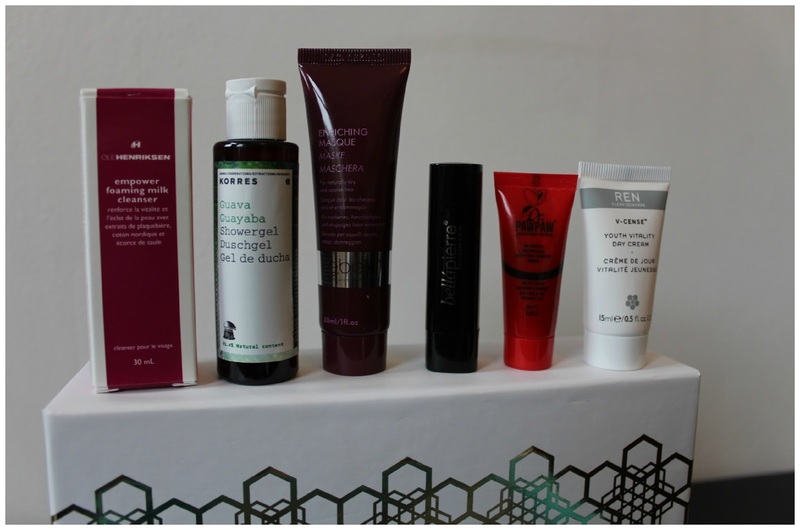 Having reasonable sized samples in the boxes means that I can actually try a product out more than once to see whether I want to go full-size. I think, compared to some of the other beauty boxes out there, the LookFantastic boxes are better value for money and feel a lot more luxurious. I didn't think at any point when looking through the samples that I'd received too many of the same types of products. The selection of bits and pieces allow me to go through a couple of days with a whole new skincare routine, topped off with some new lippy and even a full size eyeshadow brush to add to my collection on my dressing table. £15 a month (or £11.25 if you go for 12 months) is a bargain in my eyes! Also.. a little birdy from the LookFantastic crew let me in on a secret- they are going to be putting together an offer ready for xmas- if you missed box 1&2 you will be able to buy it for a special price along with the December box! Keep an eye out for that deal and also head over to get your order in for the 2016 LookFantastic advent calendar! This years has sold out already... WOW! 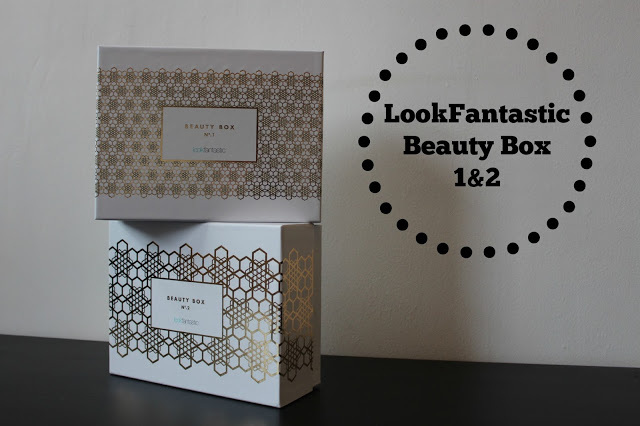 What do you think of the LookFantastic boxes? Which product takes your fancy the most?